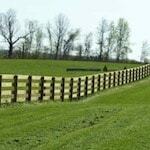 ProFence LLC provides much of the Eastern USA with poly coat fencing for horses and fence installation services. 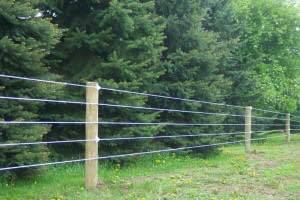 Poly coated horse fencing is a cost effective solution for containing horses on your property. 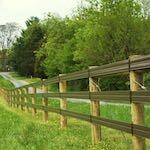 We are a family owned business that has been providing and installing poly coat fences since the early nineties. 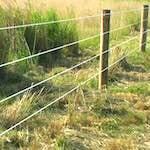 A poly coat fence is a highly visible white color that will prevent horses from running into it. The wire is flexible so it will give when a horse leans up against the fence. This decreases the chance of injury to the animal. There are no sharp edges or splintering on a poly coat horse fence so cutting injuries are significantly reduced. 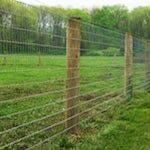 If desired, a poly coat fence can be converted into an electric fence. 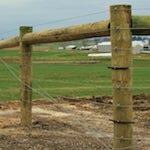 We have decades of experience installing all types of horse fencing. 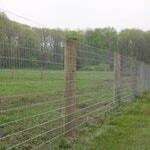 Poly coated horse fencing is no exception. You can rest easy knowing that our fence installers are some of the most experienced professionals in the Eastern USA. Poly wire has quite a bit of tension and requires care and accuracy during the installation process. We install horse safe brace wire to ensure your animals feet do not get tangled in the wire. Fill out our Free Horse Fence Estimate form today to get started!